1959. 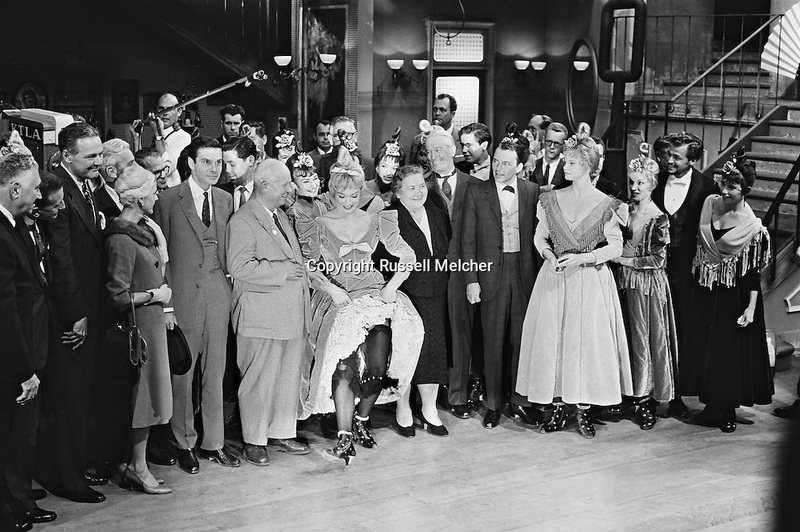 From left to right: Mr Cabot Lodge, his wife, Louis Jordan, Nikita Khrushchev, Shirley MacLaine, Madame Khrushchev, Maurice Chevalier, Frank Sinatra and Juliet Prowse, on the set of Can Can. 1959. De gauche à droite : M. Cabot Lodge, son epouse , Louis Jordan , Nikita Khrouchtchev , Shirley MacLaine , Mme Khrouchtchev , Maurice Chevalier , Frank Sinatra et Juliette Prowse , sur le plateau de tournage du film Can Can .